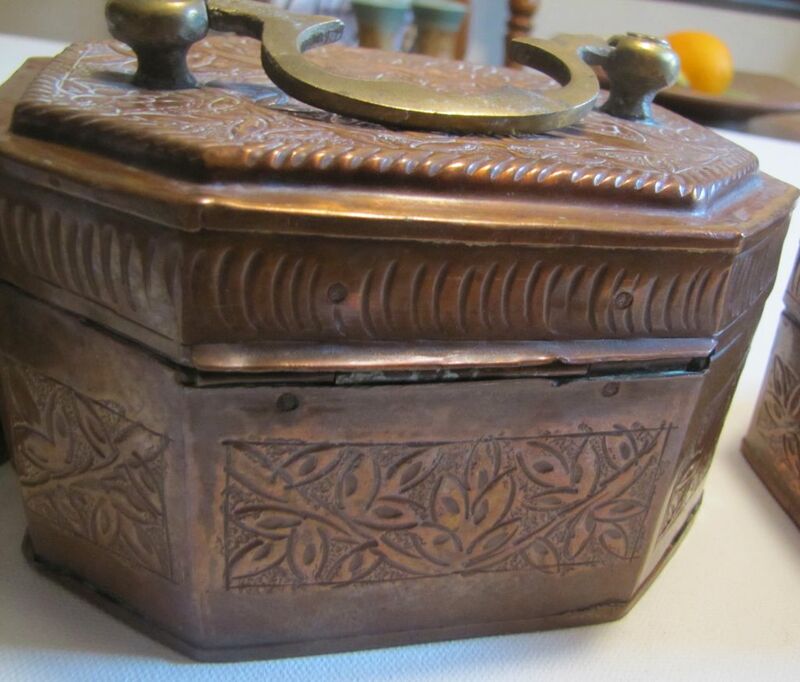 Offered for your consideration are these old and unusual copper jewelry boxes or caskets. 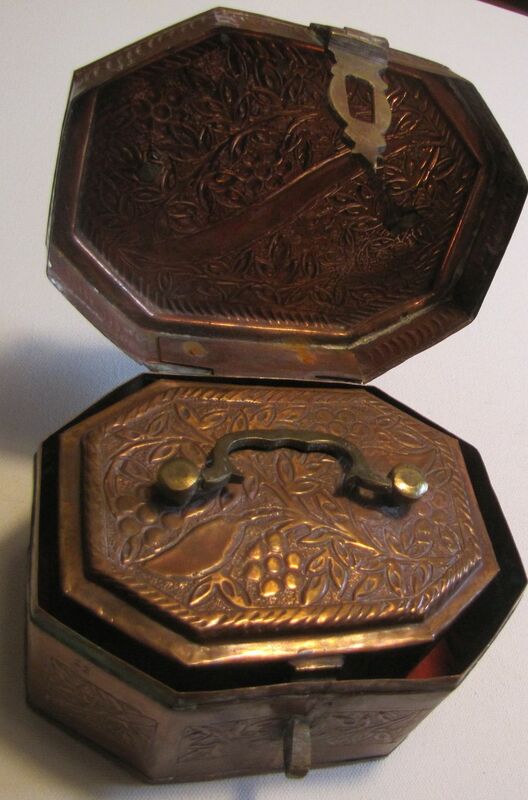 They are a set of three, octagon shaped, nesting boxes and actually fit into each other. 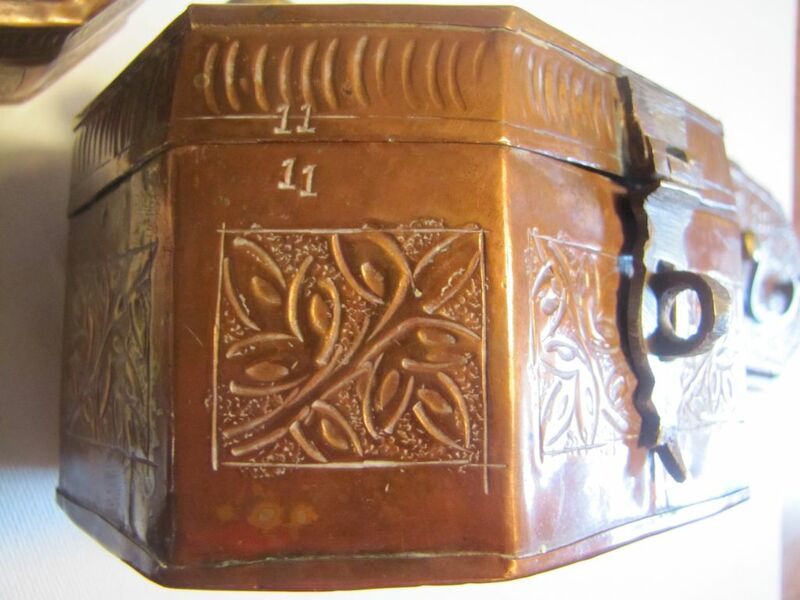 All boxes are inscribed with a number, with the largest marked 11, the middle size is marked 18 and the smallest marked 19. 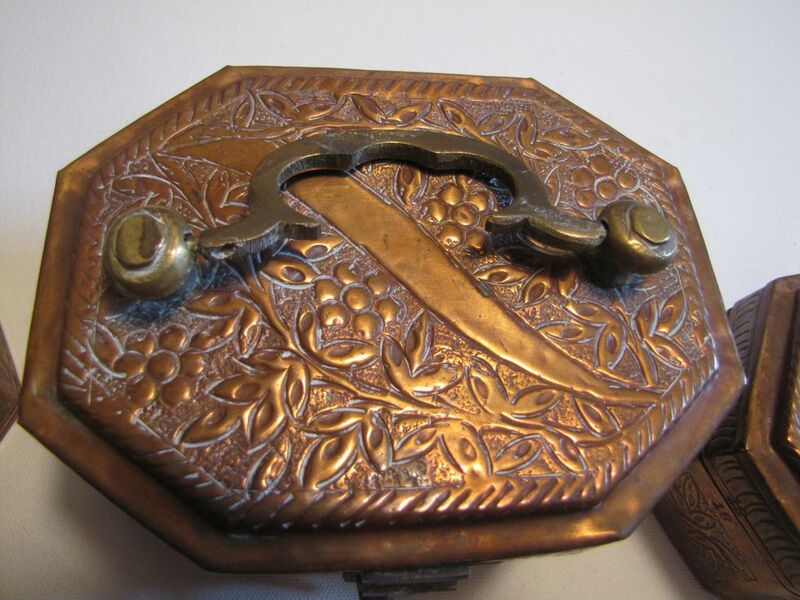 Each box is beautifully inscribed with a floral and vine motif around the entire box. 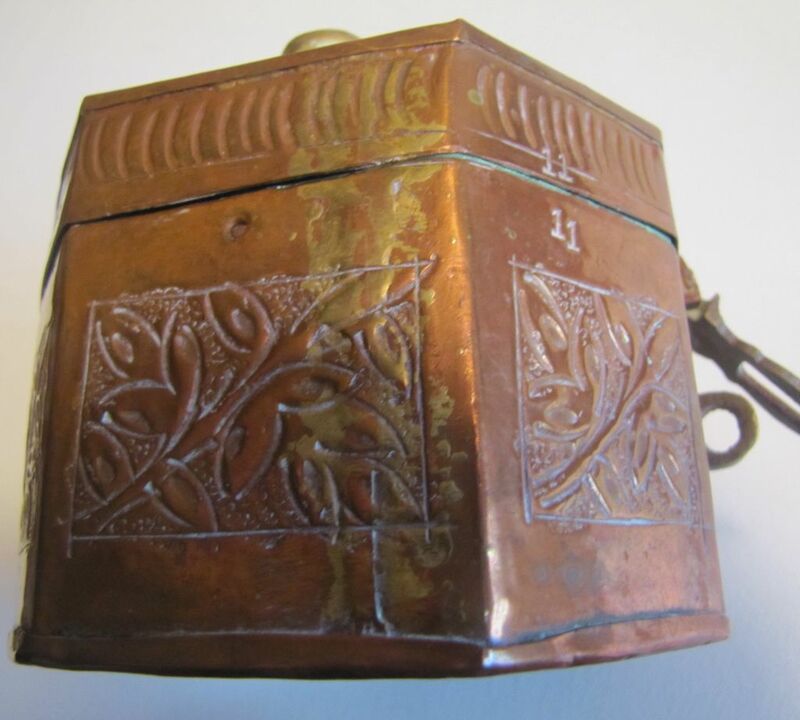 They are hand-made, have brass handles and closures and some brass soldered joints. 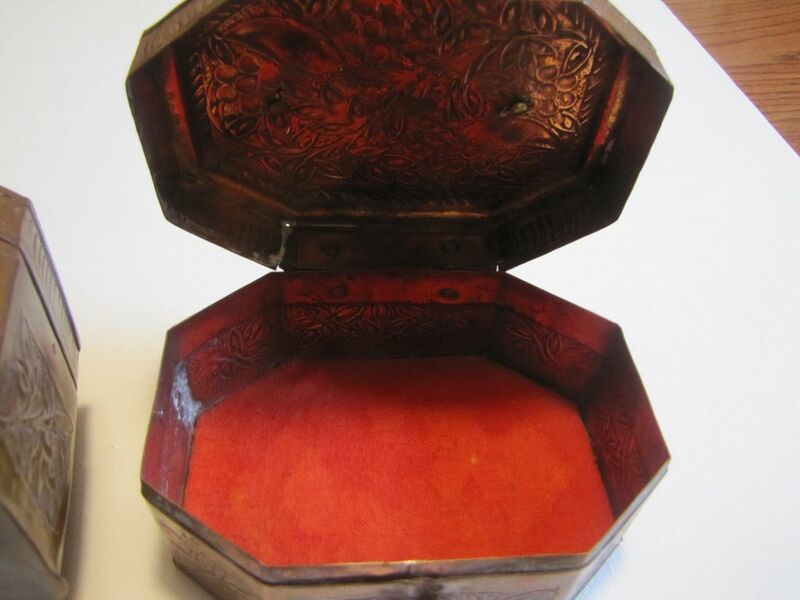 The largest box measures 5 3/4" long by 3 1/4" high by 4 1/2" depth; middle size box is 5" long by 3 3/4" depth by 2 1/2" high (not including the handle); the smallest box is 4 1/2" long by 3 1/4" in depth by 2" high. All boxes are lined with red velvet. I acquired them from an antique auction many years ago.